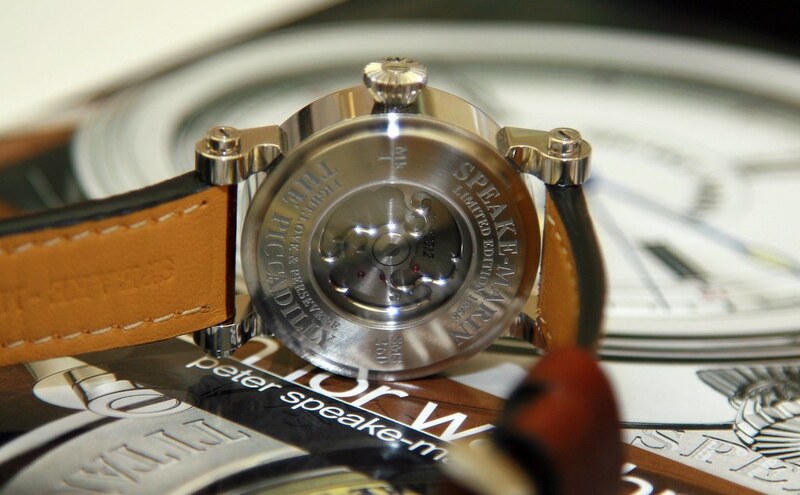 Peter Speake-Marin's Spirit Pioneer was launched on Thursday night at SalonQP at the Saatchi Gallery in London. A limited edition of just 68 pieces, it is powered by the FW2012 movement that combines the robustness of the base ETA first seen in the original Piccadilly watches with Peter's own in-house tweaks (such as a larger balance wheel, re-milled bridge, etc.) and custom topping tool-inspired rotor, in a slightly more affordable package. The case is instantly recognisable and includes Peter's trademark design cues, such as the straight lugs, prominent screws and highly polished finish. In a marked departure from previous models*, Peter has created a bold, black military-inspired dial with heavily-lumed hands, exaggerated roman numerals and markers. These markers are three-dimensional, standing proud above the dial, against the strong white minute track. It really is rather striking. It reminds me of very early military wristwatches, such as the cathedral-handed Kendal and Dent "trench watches". The leather strap is also extremely nice - comfortable, supple, but with a very satisfying thickness. In another departure, Peter has added a logo of sorts - rather than the simple "Speake-Marin, Switzerland" that has appeared on previous dials, the Spirit Pioneer now has a "topping tool" at six o'clock. It certainly makes the dial a little more cluttered than the more austere Piccadilly / Marin-1 / 2 watches, but it's none the worst for it. The caseback will be recognisable to any PSM fan: the topping-tool features again, with a Piccadilly-style inscription, as well as a new motto / personal statement - "Fight, Love & Persevere". Three words that seem to sum up the passion that continues to be evident in Peter's watches. I asked whether this line should be seen as a diffusion range - perhaps unfairly (diffusion is more commonly applied to haute couture that's sold on the high street). 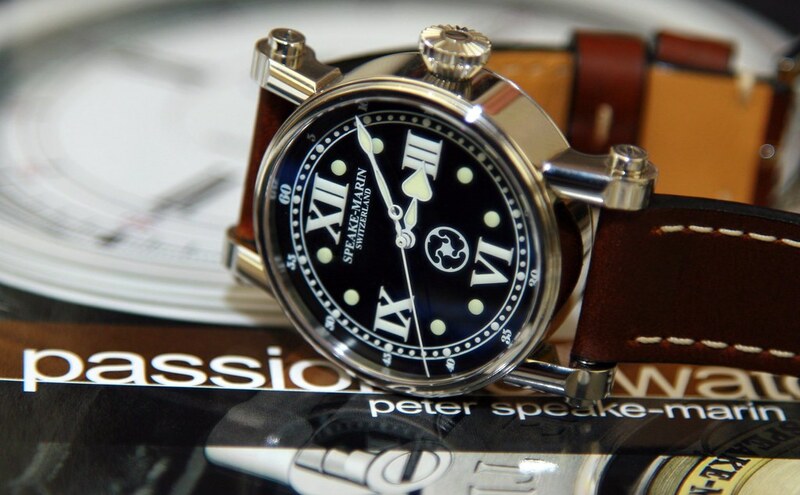 Peter said that the Pioneer was a response to the global economic situation, but is already planning more in the Spirit range, as well as other Speake-Marin watches. Peter was also displaying a diamond-encrusted watch, as well as a QP perpetual calendar. The Spirit Pioneer seems to be a very cost-effective way to own a PSM, if only there were any left! They already appear to be flying out the door - at least half of the 68 have already been sold. From a personal point of view, I think this is a brave, highly personal but eminently sensible response to the pressures which the industry has been facing, and will surely continue to face in the near-term. The watches are not cheap (9,900 CHF / £7,000) but do provide a way in to an extremely exclusive family - a family I should dearly like to join. 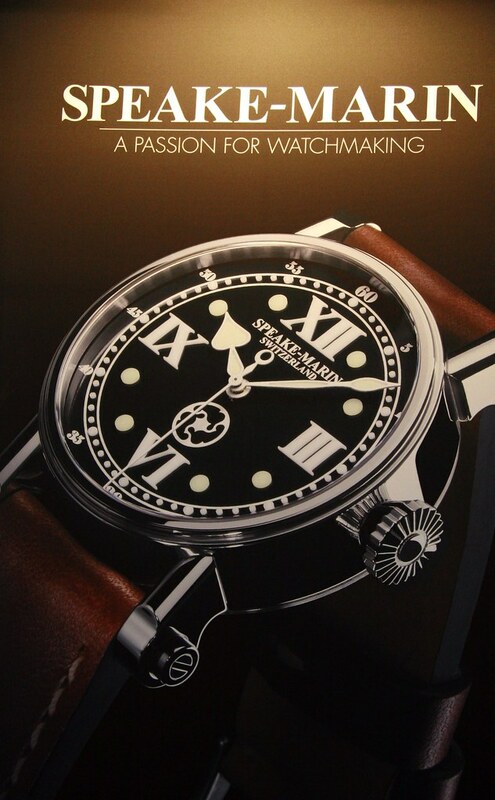 I can't wait to see what 2012 brings for Speake-Marin. *I can't recall a black-dialled PSM at all. I checked my copy of A Passion for Watchmaking, but to no avail! The Spirit Pioneer is (probably) available from all Speake-Marin Retailers, although if the response at SalonQP was anything to go by, they may well all be sold by the time this 'blog is published.